Scientists are sounding the alarm louder than ever: Children need supplemental vitamin D, in particular the bioavailable active form vitamin D3, for optimal growth and long-term health. 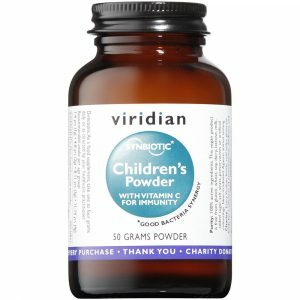 In fact, the Harvard School of Public Health has recommended 1000 IU of supplemental vitamin D for anyone over the age of 2! 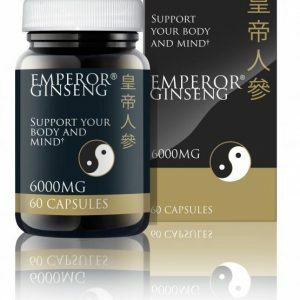 The recognition that the formative years of childhood are the most critical for laying down the strongest possible foundation for a lifetime of healthy bones is relatively recent. 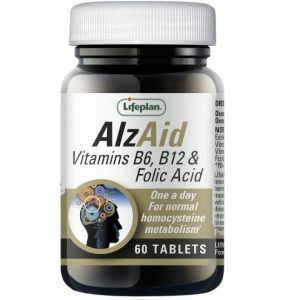 But the latest studies – showing significant immune-boosting effects – shatter the old view that vitamin D3’s benefits are limited to bone health. 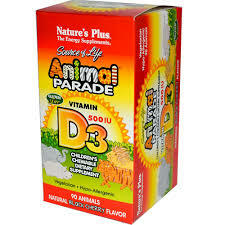 Yet, use of sunblock and sunscreen, as well as indoor activities such as video games and movies on demand, have sharply reduced children’s exposure to the sun, their natural means of producing vitamin D.
Nature’s Plus® is pleased to expand its award-winning line of Animal Parade® children’s supplements to include Animal Parade Vitamin D3 200 IU Liquid Drops, featuring a delicious orange flavor. 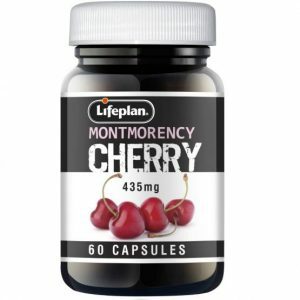 Each delicious drop delivers a measured 200 IU of vitamin D3 (cholecalciferol), in a base of complementary nutrients optimal for maximum absorption and utilization. 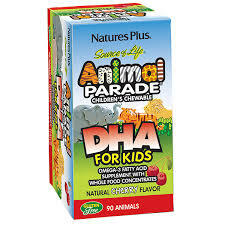 Nature's Plus Animal Parade DHA is an omega-3 fatty acid food supplement which contains whole food concentrates.